The very first mechanical gambling machine came from developers Sittman and Pitt of Brooklyn, N.Y. The early machine, based on poker, came was created in 1891. It was quite simple. It could hold 50 cards in five drums. It proved to be exceedingly popular in New York City bars, and, before long, almost every pub had one of them. The process was simple enough. Players would put a nickel in the slot, pull the lever and the drums would spin the cards around inside. Meantime, players stood there, hoping they were dealt a good hand. Since there wasn’t a direct system for payouts, a royal flush might get you a round of drinks or a couple of beers. The prizes were issued at the discretion of the establishment where the game was being played, and they varied widely. The house was given a leg up by the removal of two cards from the deck, the jack of hearts and 10 of spades. That put the odds in the bar’s favor, making it twice as hard to get a royal flush. It was not unusual for the drums to be changed around to decrease the player’s odds of a win. 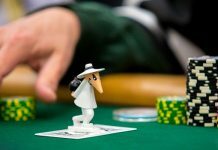 But, because of the huge number of wins possible with this first poker-based game, it was nearly impossible for makers to create a system that would give an automatic payout for any winning combination. That is when Charles Fey from San Francisco started working on a simpler slot machine that formed the basis of the machine with which we are all familiar today. Fey was a Bavarian immigrant and is credited with inventing the world’s first actual slot machine. The mechanical contraption was still based on poker like its predecessor, but it was meant to be a simpler way of automating the poker game. Just about everyone has seen the early version, with three reels that spun around and five different symbols, including hearts, spades, diamonds, horseshoes, and the Liberty Bell. The latter is where this early machine got its name. 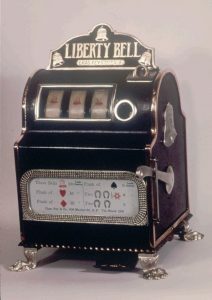 Three Liberty Bells in a row provided the biggest payout for early slot machine players. The device was very popular in its time. They were banned in Fey’s home state of California, but that did not prevent people in other places from lining up to play the slots. Payouts sometimes came in the form of fruity chewing gum, which is why they were also referred to as fruit machines in the United Kingdom. It was early styles of the machine that paid out in gum and featured fruit symbols that are still appearing today. An interesting bit of slot machine history is that these older machines are where the melon, cherry, and bar symbols on modern slot machines originally come from. The symbol of the bar is the early logo of the Bell Fruit Gum Co. Who knew? Maybe not you. But, you probably have heard that the fruity gum payout was to evade the law enforcement officers who were always present, waiting to crack down on any cash payouts. Cherry gum, anyone? Early slot machines were also called one-armed bandits. The reason for this moniker lies with the side lever attached to the machine that was pulled down by the players as they tried to score a big win. Often, of course, the game did not lead to a win but rather, left the players coinless. A bandit is a synonym for a thief in modern-day terms, thus the machines were referred to as one-armed bandits. It is ironic that some modern-day slot machines still have a token lever in addition to the customary front panel button that later replaced it. Today’s slot machines incorporate a mechanism that detects currency and validates money as it is inserted before play. Payoffs occur according to the symbols that are displayed in a pattern when the slot machines come to a stop. There have been a lot of improvements to the first slot machine envisioned by Fey in San Francisco in the late 1880s, but the game remains very popular today. 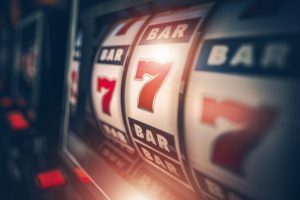 In fact, slot machines are still the most popular method of gaming in all casinos and account for approximately 70 percent of the income generated annually by casinos in the United States. The next generation slot machines and developments in the mechanics of slot machines were slow in coming. Finally, in 1963, Bally developed the first electromechanical slot machine, called the Money Honey. lt had electronic, as well as, mechanical parts. 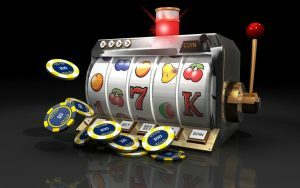 The new slot machines were made to improve the gameplaying experience and allow higher payouts based on bets made with multiple coins. Increasing jackpots led to flashy changes in aesthetics, such as bright lights and loud sounds. The added excitement made these second-generation slot machines even more popular with players. Before this, table games were the most popular draw in casinos. Thanks in part to the flashy new designs and bigger wins, however, slot machines fast became the most sought-after game on the casino floor. The first real video slot machine was developed in Kearny Mesa, Calif., by the Fortune Coin Co, which was based in Las Vegas. It had a Sony Trinitron color receiver that measured 9 inches. Slot machine functions were run on installed logic boards for the first time. A prototype of this slot machine first appeared at the Hilton Hotel in Las Vegas in a test trial. It was a mounted machine cabinet and ready to show live games in the establishment. After undergoing testing, the machines were modified so they were cheat-proof. They were officially approved by the Gaming Commission in the state of Nevada, and, shortly afterward, became a staple on the Las Vegas Strip. The Fortune Coin Co. was eventually acquired by International Gaming Technology, which came on the scene in 1978. The inaugural video slot machine debuted in Las Vegas by Future Coin foreshadowed the future of the gaming industry. Players were initially skeptical of this newfangled technology, which featured computerized reels on what looked like a television screen. Microchips exploded on to the technology scene in the 1980s and led to some huge improvements for online slot machine players. When IGT took over production in 1976, the company developed a slick marketing campaign to promote its new product. 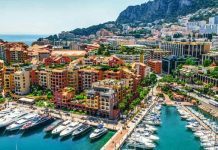 IGT also invested significantly in research and development to grow the slot machine audience further and expand it beyond its Las Vegas roots. Microchip technology was a big leap forward for slot machines because it allowed multiple machines in different sites to be linked together. You might recall the Megabucks machine that IGT introduced in 1986, with a huge marketing push and public awareness campaign. The World Wide Web created a new environment in the 1990s. Powerful computers with faster processing systems led to the development of bonus games and slot machines that were early representations of the machines we see today. Modern-day casinos reach an unprecedented number of people by operating online. Gaming innovations are only limited by the imagination of the programmers creating them. 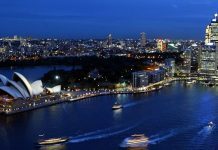 These game geeks are always pushing boundaries and coming up with exciting new features that are embodied by today’s state-of-the-art slot machines.